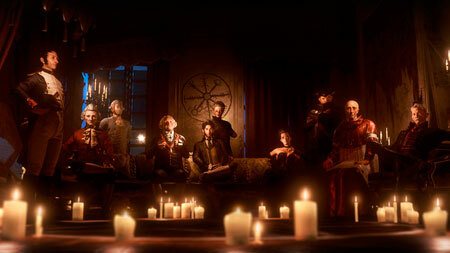 The Council is a unique episodic adventure game by Big Bad Wolf. Experience a Narrative Adventure where your choices and character growth truly matter. Make hard-hitting decisions, but also develop an array of skills to directly impact how the story unfolds. As a member of a 1793 secret society, live a tale of intrigue and manipulation on the hunt for your missing mother. Plunge into a tale of intrigue and manipulation in the style of a classic murder mystery, living with a cast of alluring characters each hiding their own dark secrets. Trust no one while uncovering dire truths. Solve issues with diplomacy, delve into occultism to expand your historical and scientific knowledge, or play detective and see what others do not perceive. The results will forever alter the life of Louis de Richet, of those around him, and shape history as we know it. If you get stuck in the game, check out the video walkthrough and gameplay for the game. This entry was posted in PC Games, Walkthrough and tagged The Council Cheats, The Council Episode 1 Walkthrough, The Council Gameplay, The Council Guide, The Council Hints, The Council Review, The Council Solutions, The Council Strategy, The Council The Mad Ones Walkthrough, The Council Tips, The Council Walkthrough by Marvin. Bookmark the permalink.